Special Monthly Compensation (SMC) is a disability benefit available to certain veterans, their spouses, surviving spouses, and parents. 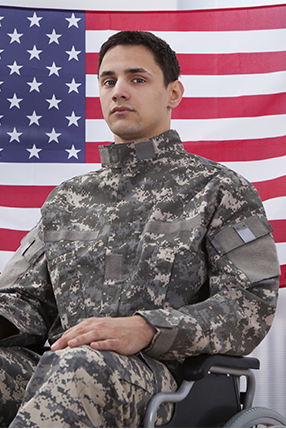 Eligible veterans receive a higher rate of compensation for their disability due to special circumstances, such as the need for another person to aid and attend them, or the nature of their disability, such as the loss of a limb. Spouses and surviving spouses can also get SMC based on their need for aid and attendance. The VA pays higher rates of benefits for veterans suffering from a combination of these disabilities. If you believe you are eligible for SMC, Marcari, Russotto, Spencer & Balaban recommends that you apply as soon as possible by contacting your local VA regional office. If you or a veteran you love has trouble accessing SMC or other VA benefits, our accredited attorneys are ready to help. Call us today at 866-866-VETS or contact us online.